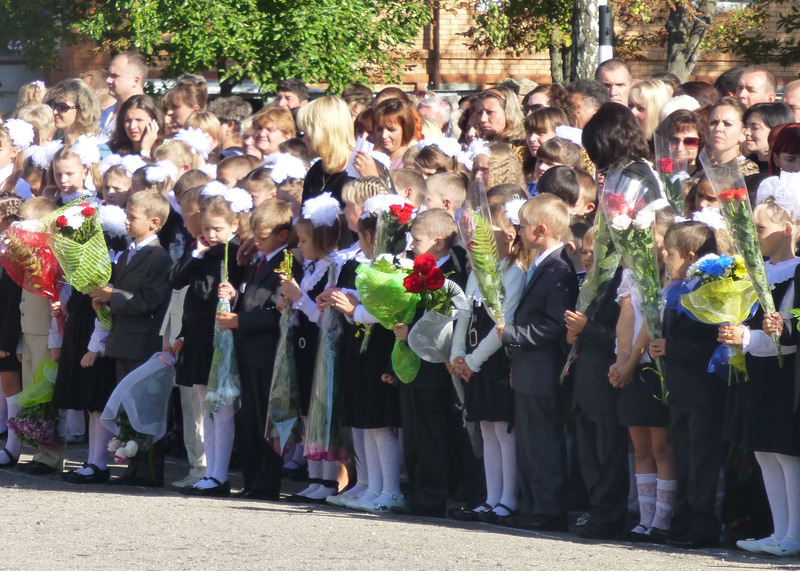 September 1st marked the beginning of a new school year in Ukraine. Young learners anticipating the right moment to give flowers to their teachers. 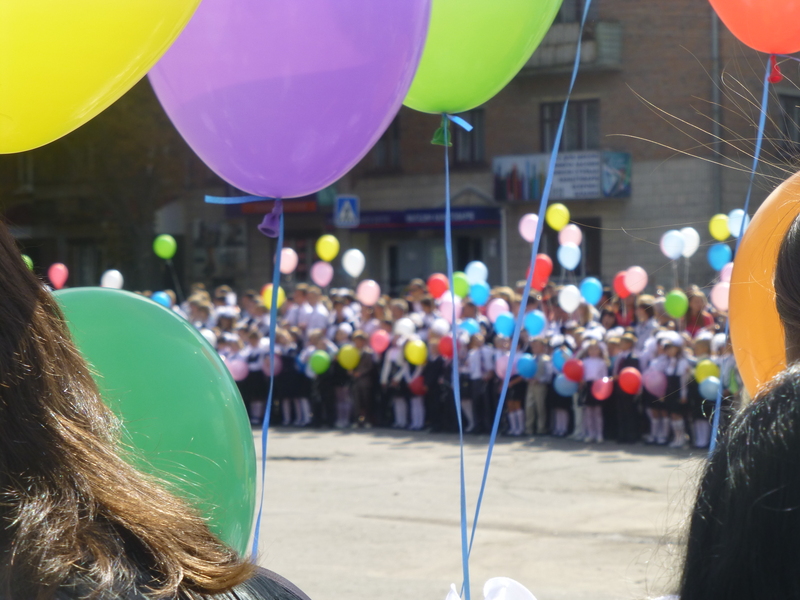 Secondary schools in my hometown of Romny celebrated individually with their traditional ceremonies. Students, teachers, parents and nearby spectators from the gathered to initiate the 1st formers into their new school and celebrate the last year of the 11th formers. A bell was rung, speeches were made and the symbolic ‘key of knowledge’ was presented to the nervously excited 1st formers. All the students were dressed in the traditional black/blue/brown & white school uniform and carried huge bouquets of flowers for their teachers and administrators. 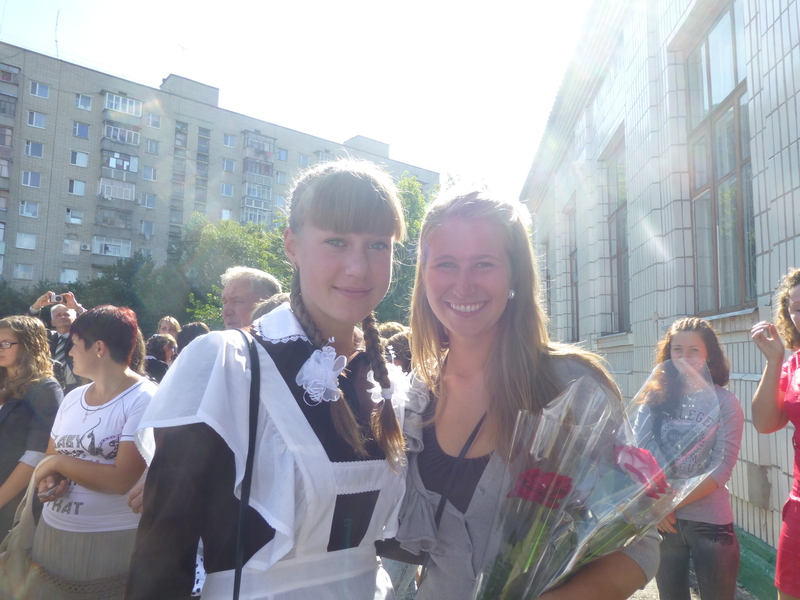 Alina, an 11th former, in her uniform. 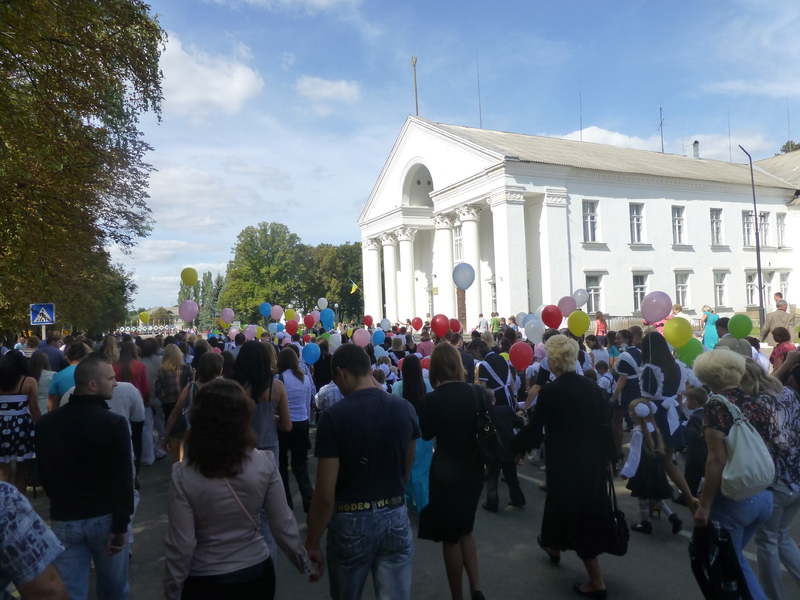 After a flurry of photographs, sample lessons for parents and presentation of school facilites, all ten schools of Romny gathered for a parade to the center square of Romny. More speeches were made and dances performed which culminated in a mass release of balloons to welcome the new year. It was beautiful, but I couldn’t help but feel sorry for all the birds who are undoubtedly confused and in danger from this bi-annual mass exodus of plastic from the ground. Lena’s father and I thinking about her far away in the USofA. I spent the day with a student’s family who is now studying abroad for one year in Oregon with the FLEX program. I am so proud that she was selected for this program and excited to hear all about her adventures in a new culture. I already heard the concept of ‘ice in most soft serve drinks’ is causing a bit of confusion. Ice is rarely used in Ukraine and essentially non-existant in Romny as many people believe it will give you a sore throat. I can’t wait to hear what other things strike her differently. 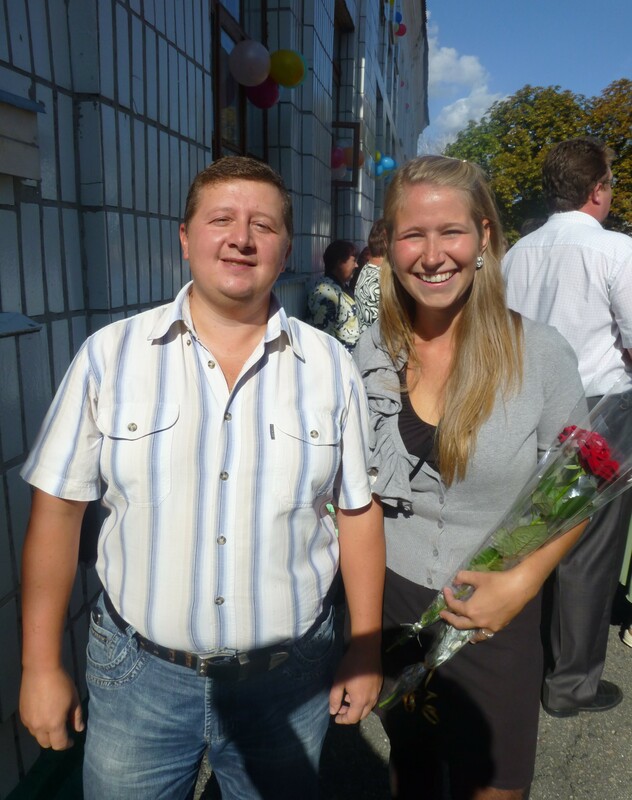 Most students in FLEX return to Ukraine nearly fluent in English, so I am happy I will still be here for six months after her return. Town parade to the center square passing in front of our ‘House of Culture’.